SCORP is a dynamic standing committee which deals with Human Rights, Refugees, and Peace. These are issues that are continuously changing under the ever-present influence of politics, nature and many other factors. The committee itself is also constantly reforming to be able to bend towards the ever changing needs which present differently in each and every country.In the year 1983 when the global refugee issue rose into general knowledge, the Standing Committee on Refugees was founded. The mission of the new standing committee was to call attention to the evergrowing problems of refugees and internally displaced people. After a while, however, the committee members noticed that the efforts made were rather palliative and short term. For addressing the challenge better and finding sustainable solutions, the importance of the prevention of conflicts and human right violations was noticed. Based on these ideas, the Standing Committee on Refugees and Peace was founded in 1994. In 2005, after noticing that SCORP was more and more dealing with Human Rights and indirectly through that with refu- gees, it changed its name again, to better illustrate its true activities. So it became the Standing Committee on Human Rights and Peace, keeping its abbreviation – SCORP. 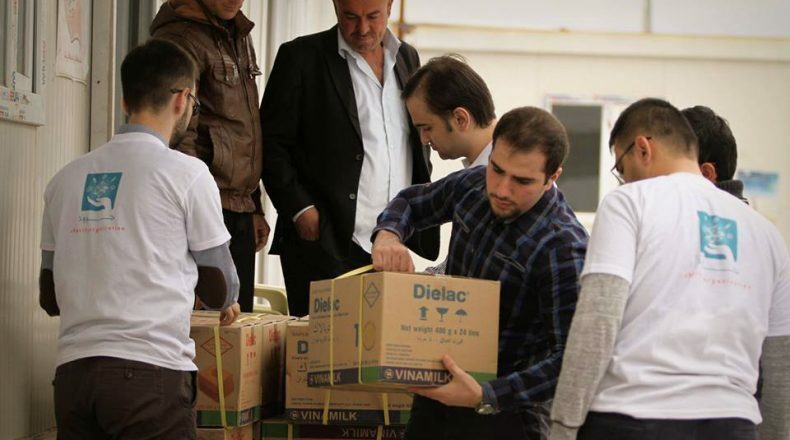 IFMSA Kurdistan in collaboration with Zhyan Org. IFMSA-Kurdistan is A member of the IFMSA family. It was established in 2009 in Hawler city of Iraqi Kurdistan region of Iraq. It is as other member organizations worldide, Non-Governmental Non-Political organization. It is ran by medical students and only active medical students can be a member of this organization.